You’ll have noticed that I mention PHB Ethical Beauty a fair few times in blogs and videos. 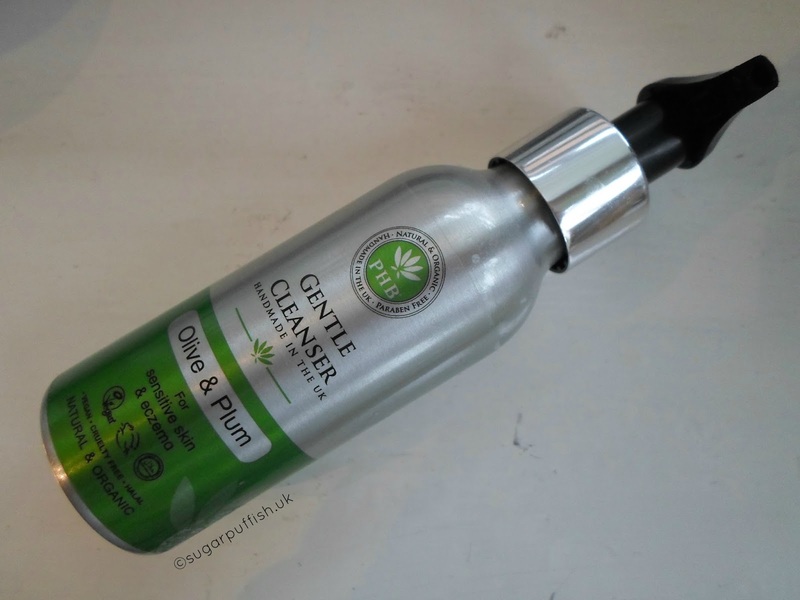 They have a large product line and I have slowly been exploring some of the products mainly those from the fragrance free range. A couple of months back I bought the Gentle Cleanser with Olive & Plum and Avocado & Olive Sugar Scrub. This is a milky cleanser with no scent which I like using in the mornings. It’s a little bit too runny for me and so in the evenings I use a balm for removing the daily grim and makeup. It is suggested that you massage this cleanser into skin using a cloth or cotton pad but I prefer using my fingers and removing with a damp cloth. Using cotton pads can get costly and I do worry for the environmental impact. I would recommend trying this product if you have sensitive skin and if that isn’t your skin type there are other cleansers available to choose from. This sugar scrub is rather unique compared to others I have used. As you will see from the picture it is a solid product. It looks like a bar of soap the only difference is you can feel it contains sugar granules. I use this in the shower and simply rub over my body where needed. The second ingredient in the scrub is cocoa butter so it does leave the skin with a rich layer of butter. It can feels a little too much but I just wash down with a konjac sponge and body wash to remove excess. My skin is left feeling silky smooth and I don’t need to apply any lotion. The downside is I do struggle with the abrasiveness of the sugar. I have very sensitive skin and have to grit my teeth when using this product but that goes for any scrub, it’s why I tend to avoid them. You’re probably wondering why I bought it, mainly curiosity. 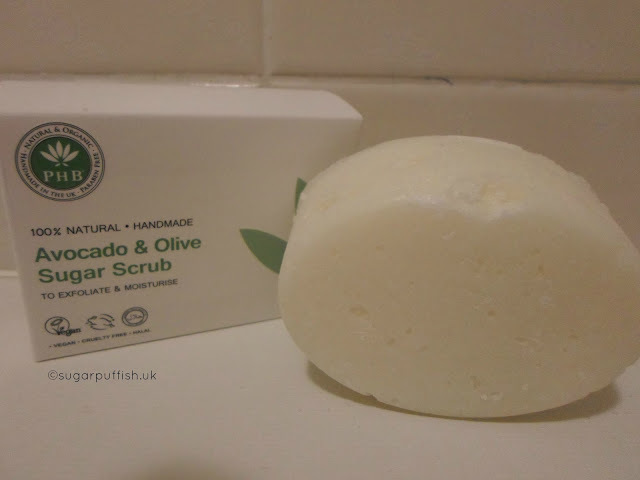 The sugar scrub is available in fragrance combinations as the Avocado & Olive is unscented. PHB Ethical Beauty is an affordable brand and all products are suitable for Vegans. Whilst I might not purchase these two products again, my dislikes are personal and should not put you off. I am a fan of PHB's Gentle Moisturiser and Unscented Hand Cream. Have you tried any products from PHB Ethical Beauty? What would you recommend?